Terrestrial orchids can be placed into one of three groups that have similar cultural requirements. Fast multipliers are the easiest deciduous terrestrials to grow and potfuls are regularly seen at orchid meetings and shows. They multiply rapidly by forming 2 – 4 tubers per plant each year. They will take some fertiliser and grow better if repotted annually. It is usually not commercially viable to grow seed of these in flask. They will grow well in premium potting mix from your local hardware store with some sand added. This group contains many genera including Acianthus, Chiloglottis, Corybas, Cyrtostylis, Diplodium, Leptoceras, Microtis, Pterostylis and some species from Caladenia, Diuris and Thelymitra. Slow multipliers are not so easy because there is less room for error. Some very showy Diuris, Pterostylis and Thelymitra fall within this group. A few have a near zero increase rate and will fade away unless additional plants can be produced to make up for occasional losses from predators and disease. They are more expensive because they have to be raised from seed in flasks. Flowering plants are hand pollinated and the seed collected just before the pods split open and the dust-like seed blows away. The pull-off-the-tuber method can be used with some Diuris and Pterostylis species to double plant numbers annually. Do not fertilise these except when repotting. Those with large tubers such as Thelymitra nuda and Diuris behrii should be the first to be repotted in November – December. 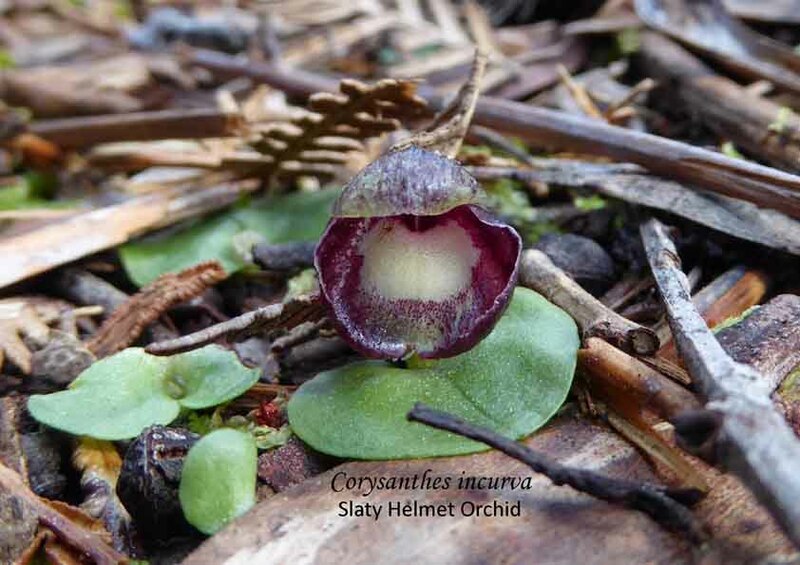 Some of Australia’s most fascinating orchids rely on a symbiotic fungal association to obtain nutrients from the soil as these orchids have virtually no roots. The majority of Australia’s terrestrial orchids are in this group and many are rare plants as they seldom multiply. We talk about survival rates for these orchids that are normally less than one. Propagation is from seed. They have a reputation for being difficult to grow in pots. However some species have been kept alive in pots for nearly 30 years. Never use fertiliser because it can kill the fungi. They should be repotted only when the tubers reach or come out of the bottom of the pot or seedlings get too crowded. A new thin layer of leaf litter is added to the surface each summer to feed the fungi which is active near the surface. Flowers are hand pollinated to get seed. Seed is sprinkled on the pots each autumn and with good culture, seedlings will appear in spring around mother plants. Since the fungus cannot be seen with the naked eye, the health of the leaves is used to indicate that the fungal relationship with the orchid is working. If seed is sown in autumn, by springtime, when mature orchids flower, there may be a new crop of tiny seedling leaves around the base of the large mother plants. The appearance of new seedling leaves around mother plants each spring confirms that the fungal relationship is healthy. 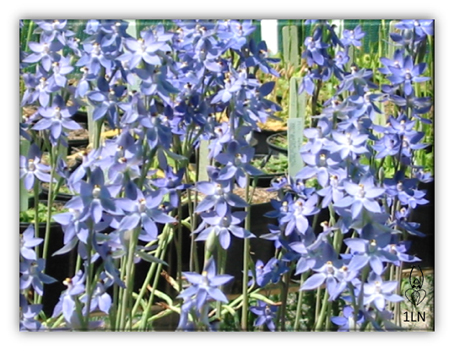 Seedlings take 3 – 5 years to reach flowering size. Use a mix that is at least 50% sand. The bottom of the pot can be pure sand. Never use fertilisers (fertilisers can kill fungi). Feed the fungus by adding new leaf litter on top of the old litter layer each summer. Chopped up sheoak needles or gum leaf stalks/nuts are recommended. Do not repot unless absolutely necessary (eg the tubers come out the bottom of the pot, overcrowding, disease). 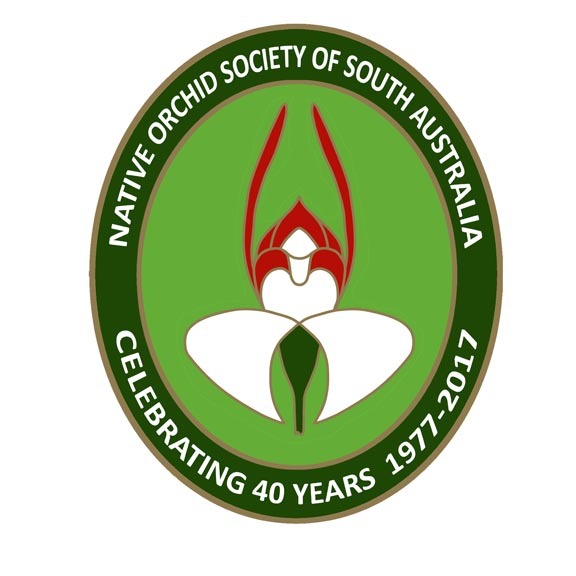 This entry was posted in Articles, Growing Terrestrials and tagged Australian orchids, Growing Australian Orchids, growing terrestrial orchids, orchids, Terrestrial orchids. Bookmark the permalink.